Eternal Orthodox Church calendar for the 22.02 year 2017. The life of this holy martyr demonstrates clearly how God casts down pride and crowns humility and brotherly love with glory. There lived in Antioch two intimate friends, the learned priest Sapricius and the ordinary, simple townsman Nicephorus. Their friendship somehow turned into a terrible mutual hatred. 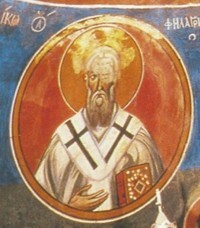 Nicephorus, who feared God, tried many times to establish peace with the priest, but the latter would not respond. When a persecution of Christians broke out, the priest Sapricius was condemned to death and brought to the place of execution. Nicephorus stood in great distress in the path Sapricius was to take, begging him to forgive him before dying, and to part in peace. 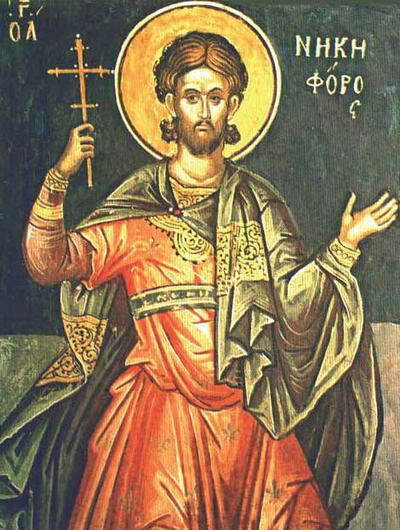 "I pray thee, thou martyr of Christ", said Nicephorus, "forgive me if I have in any way sinned against thee." Sapricius would not turn to his adversary, but calmly and proudly moved on to death. But, seeing the hardness of the priest"s heart, God would not have him receive the gift of martyrdom and the crowning with the wreath, and secretly withdrew His blessing. At the last moment, Sapricius denied Christ before the executioner and declared that he would worship idols. Hatred had blinded him to such an extent! 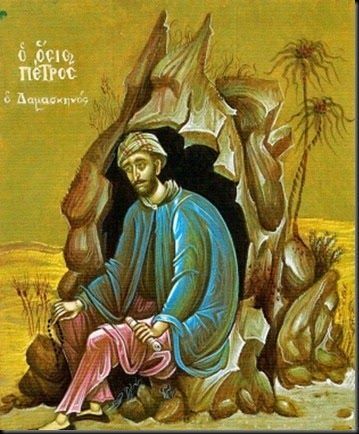 Nicephorus entreated Sapricius not to deny Christ: "Oh, my beloved brother, do not do this! Do not deny our Lord Jesus Christ and lose the heavenly crown!" But all in vain; Sapricius was unmoved. Then Nicephorus cried out to the executioners: I too am a Christian; kill me in Sapricius"s place!" The executioners reported this to the judge, who ordered them to let Sapricius go and kill Nicephorus in his place. Nicephorus joyfully laid his head on the block and was beheaded. And thus he was made worthy of the Kingdom and crowned with the eternal wreath of glory. This came to pass in 260, in the reign of the Emperor Gallienus. The Hieromartyrs Marcellus, Philagrius and Pancratius were disciples of the holy Apostle Peter and were made bishops by him: St Marcellus, of Sicily; Philagrius, of Cyprus, and Pancratius, of Taormina. They were put to death for spreading the faith of Christ among the pagans. 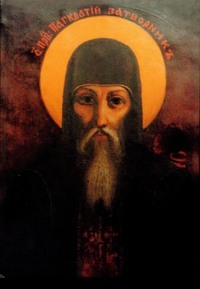 The holy hieromonk Pancratius performed the divine services with much grace, and received the gift of working miracles. He shared his gifts with those who asked, healing the sick with fasting, prayer, and by anointing them with holy oil.